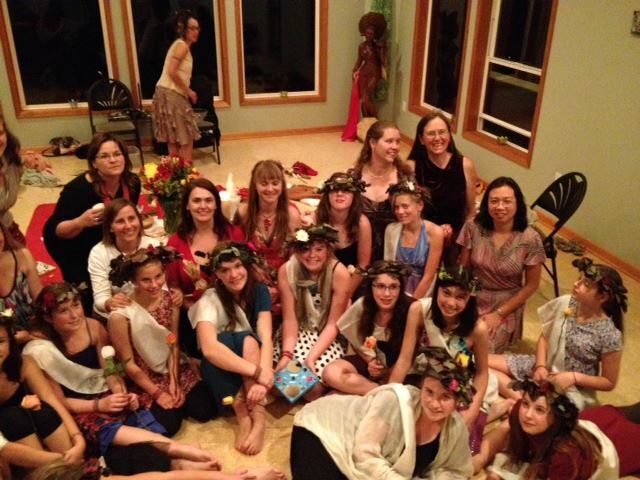 If you are interested in hosting a girls' rite of passage, please contact Julie Foster, jewels@gmail.com or call (503) 793-3875. Across cultures the adolescent time in a girl's life marks a pivotal time of feminine development. It truly is an unfolding of trust, innocence, truth, self, and BEAUTY. The Sacred Feminine embodies freedom, contemplation, love, friendship, at the heart of each girl’s being. Experiential activities and ceremony are created for girls to step into the next phase of development. Our girls' rites of passage ceremonies support the transition from ‘girl’ to ‘young woman’ to occur with confidence and peace. We discuss the reasons for Rites of Passage, their historical applications, and how they relate to our present culture. Please visit our calendar to see when our girls' rite of passage is scheduled.